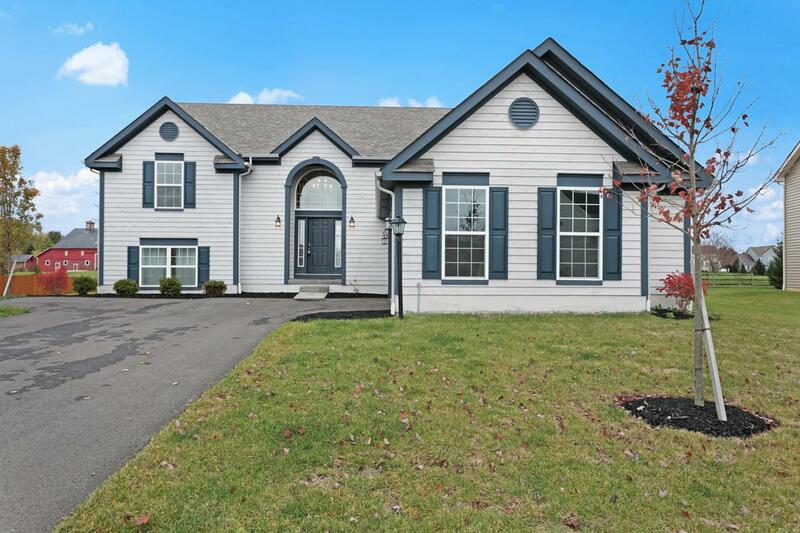 What a stunning house in Pickerington! a great opportunity to own an almost brand new (built in 2017) home with upscale features throughout. Features include: black stainless steel appliances, 42'' cabinets, leathered granite counters, hardwood floors, upgraded fixtures package, and much more! Generous space throughout (almost 3,00 se) lower level rec room, separate owners' suite, and potential for a 4th bedroom, mother-in-law suite, large office, etc. on the lower level. This home is perfect for entertaining or just enjoying family with open layout, soaring ceilings, and large kitchen. There is so much offered in this house and lots of future potential as well. Check this home out today!